At Queen Elizabeth's, we strive to be as energy-efficient as possible, and some years ago set up a school garden. 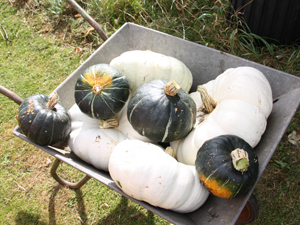 The garden was set up to serve three purposes: to provide a quiet space for sixth form pupils to relax in, to provide the students with experience of growing and experimenting with bio fuel crops, and to give students the opportunity to grow their own food. "Things are popping up in the School Garden…"
There are a variety of crops being grown every year, and in particular, starting in 2013, we have set up a 3-year crop rotation which allows for all kinds of crops to be grown, and for the soil to be kept nutritious at the same time. Currently, we have sweet corn, beans, garlic, raspberries, rhubarb and lettuce, all of which are either used by the canteen, in our cooking club or sold to the local community. There is even a 200 sq metre hay meadow and wildlife garden. 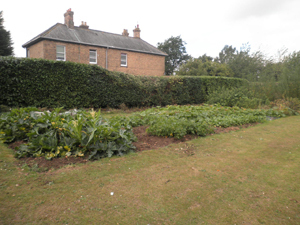 The project has been supported by a number of local businesses including; Boston Seeds, Galley Hill Farm, Nuvar, Friskney Biofuels Partnership, Tothby Manor Farm, Hubbard Seeds and Bashfarms Ltd.
Work in our-garden is progressing well. 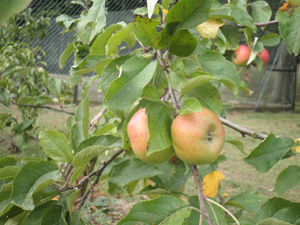 Our orchard has grown taller each year, the wildlife patch is highly active and the vegetable patch is producing tasty fruits and vegetables! 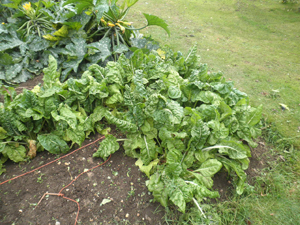 The vegetable patch has also already supplied the Y13 leaving BBQ with all their green salad leaves.